The best candy can only be made from the best chocolate. With great functionality and the finest flavor profiles in the wholesale chocolate industry, Merckens Chocolate Wafers are exactly that. With Merckens Melts, candy-making and cake-decorating right at home is easy. Made from a special compound designed for easy melting, dipping and molding, Merckens candy wafers require no tempering; simply melt, and they’re ready to use. 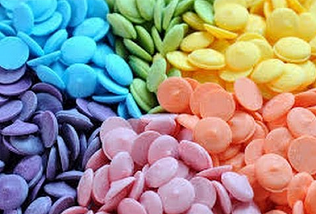 Merckens’ legendary Rainbow Wafers are the ultimate candy wafers, adding an undeniably fun and decorative element to any drizzles, dips, fondues and more. Brighten up your next dessert with an assortment of color or choose the perfect tone to match the theme of your special event or holiday. Merckens Melts offer a variety of options from White Chocolate Wafers and Dark Chocolate Wafers to sugar free coatings and more, so that you can find something to satisfy every taste bud. 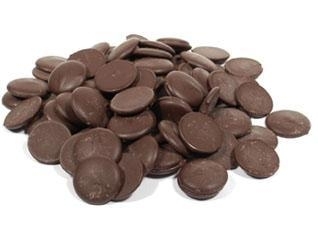 Royal Wholesale Chocolate is one of the largest bulk suppliers of Merckens chocolates in the country. We offer a wide range of products for all your baking and molding needs. 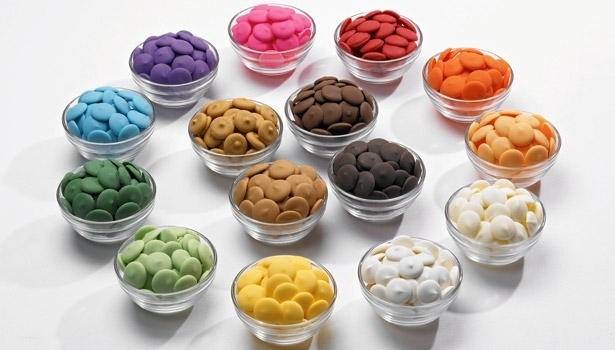 Browse our selection of premium chocolate brands for milk chocolate coatings, white candy wafers, bittersweet chocolate chunks, sugar free melts and so much more.